President Trump fired back at Chief Justice John Roberts on Wednesday after the leader of the Supreme Court rebuked the president over his criticism of "Obama judges." "Sorry Chief Justice John Roberts, but you do indeed have “Obama judges,” and they have a much different point of view than the people who are charged with the safety of our country," the president tweeted Wednesday afternoon. "It would be great if the 9th Circuit was indeed an “independent judiciary,” Trump added. “What we have is an extraordinary group of dedicated judges doing their level best to do equal right to those appearing before them,” Roberts said in the statement. President Trump said Thursday that he is thankful "for having a great family and for having made a tremendous difference in this country." Trump made the comment when asked by reporters what he is grateful for on Thanksgiving shortly after holding a phone call with troops overseas. “I’ve made a tremendous difference in the country,” Trump said. “This country’s so much stronger than it was when I took office and you wouldn’t believe it.”. The country “made a lot of progress,” he added. . . .
“The date had been picked, the location too, and the plan was penciled in: President Trump would be whisked from the White House to Camp David on a quiet winter Saturday to answer questions from special counsel Robert Mueller’s team,” the AP reports. Conservative writer and conspiracy theorist Jerome Corsi is in plea negotiations with special counsel Robert S. Mueller III, according to a person with knowledge of the talks. The talks with Corsi — an associate of both President Trump and GOP operative Roger Stone — could bring Mueller’s team closer to determining whether Trump or his advisers were linked to WikiLeaks’ release of hacked Democratic emails in 2016, a key part of his long-running inquiry. Rep. Trey Gowdy (R-S.C.) on Sunday said that former FBI Director James Comey's interview with Congress should not be public, but should instead be videotaped and released. "The remedy for leaks is not to have a public hearing where you are supposed to ask about 17 months‘ worth of work in five minutes," he said. "I think the remedy is to videotape the deposition. That way the public can see whether the question was fair. They could judge the entirety of the answer." Comey was subpoenaed to appear for a closed-door testimony Dec. 3 as part of an investigation into the FBI and Justice Department's decision-making in 2016 and 2017, a time when some officials believe the bureau downplayed the investigation into Hillary Clinton's private email server and instead begin probing possible connections between Russia and Donald Trump's presidential campaign. However, Comey has requested a public hearing and has said that he believes there will be leaks if his testimony were to be private. Rep. Adam Schiff (D-CA) made it clear that one of his top priorities is investigating whether Trump has been money laundering for Putin and Russia. One of the issues that Republicans would not allow us to investigate when they were running the committee, and I don’t think that Congress has looked into this at all, and I don’t know that Bob Mueller has is whether the Russians have been laundering money through the president’s businesses, and if this is the financial hold that the Russians may have. It would certainly explain the president’s otherwise bewildering conduct in Helsinki, many of the president’s pro-Putin comments. It would explain why his sons have said that at various times, they don’t need money from US banks. They get all the money they need from Russia, or a disproportionate share of their assets come from Russia. Is this again, the hidden hand of American foreign policy? A Russian financial hand. We do need to be able to get an answer to that and tell the American people, yes, it’s true, or no, it’s not. Rep. Schiff would not confirm a report that he is loading up his staff with forensic accountants and money laundering experts, but his answer was not a denial. Before the midterm, Adam Schiff was talking about the need to investigate potential Trump money laundering for Russia. Democrats have a good idea where the bodies are buried when it comes to Trump’s financial interests, and they are showing up in January knowing exactly where to dig. Trump’s own behavior along with the Republican refusal to allow Democrats to investigate certain issues has provided a nice investigative map. All of Trump’s darkest secrets are about to come out. Adam Schiff is going to get answers, and what he finds out could shatter Trump and the Republican Party. 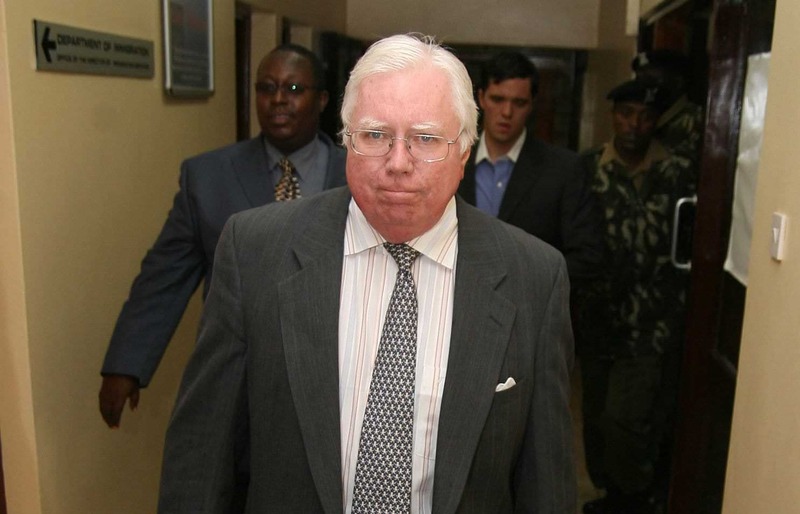 Jerome Corsi, an associate of former Trump campaign adviser Roger Stone, has decided to reject a plea deal he says was offered to him by special counsel Robert Mueller as part of his investigation into Russian interference in the 2016 election. In an interview with ABC News on Monday, Corsi said the special counsel offered to allow him to plead guilty to one count of lying to federal investigators in exchange for cooperation in the probe and leniency at sentencing. He provided ABC News with copies of a plea agreement he says was drafted by Mueller’s prosecutors that would have exposed Corsi to a prison sentence of up to five years for “knowingly [making] materially false, fictitious and fraudulent statements” to the FBI about communications with an unidentified “associate’s request to get in touch with an organization that he understood to be in possession of stolen emails and other documents pertaining to the 2016 U.S. presidential election.” The unknown associate mentioned by Mueller matches the description of Roger Stone, who hired Corsi to do research for him during the 2016 election. Corsi, a former Infowars bureau chief known for promulgating political smear campaigns and conspiracy theories, told ABC News that he could not sign on to a plea deal for a crime he says he did not commit. WASHINGTON -- Paul Manafort, President Trump's former campaign chairman, repeatedly lied to federal investigators in breach of a plea agreement he signed two months ago, the special counsel's office said in a court filing late on Monday. Mr. Manafort's "crimes and lies" during a series of interviews with prosecutors working for the special counsel, Robert S. Mueller III, and the F.B.I. relieve them of all promises they made to him in the plea agreement reached in mid-September, investigators wrote in the filing. Defense lawyers disagreed. Mr. Manafort has been truthful with the special counsel's office and has abided by the agreement, they argued in the same status report to Judge Amy Berman Jackson of the United States District Court for the District of Columbia. Given the impasse between the two sides, Mr. Manafort asked that Judge Jackson set a sentencing date. The dramatic development in the 11th hour of Mr. Manafort's case means, at a minimum, that prosecutors will not ask for a lighter punishment in return for his cooperation. They could also conceivably seek to refile bank fraud charges that they agreed to dismiss as part of the plea agreement. BREAKING: A bi-partisan bill to protect Robert Mueller has been blocked by Senate Republicans, particularly Mike Lee and Mitch McConnell. Basically they just told America that there is no need for fire extinguishers and smoke detectors until after house starts burning down. WASHINGTON - Senate Republicans blocked a vote on a bill to protect Special Counsel Robert Mueller on Wednesday, despite a threat from a GOP Senator to hold up judicial nominees until action is taken on the measure. Critics of President Donald Trump in both parties have for months advocated for legislation to safeguard Mueller and his investigation into Russian meddling in the 2016 presidential election, but the effort gained renewed momentum earlier this month when Trump fired former attorney general Jeff Sessions and replaced him with Matthew Whitaker, a controversial loyalist who has criticized the Russia probe before joining the administration. Russia stole the emails and alerted the Trump campaign that they had done so. Russia gave those emails to WikiLeaks. Corsi got information on how WikiLeaks planned to use the emails and passed it to Stone, who he knew was in regular contact with the Trump campaign. In other words: Mueller has identified the conspiracy that facilitated collusion. NEW YORK (AP) — Michael Cohen, President Donald Trump's former lawyer, made a surprise appearance before a federal judge in New York on Thursday and pleaded guilty to lying to Congress to cover up that he was negotiating a real estate deal in Moscow on Trump's behalf during the heat of his campaign for the Republican presidential nomination. Trump called Cohen a "weak person" who is lying to get a lighter sentence. The charge was brought by Special Counsel Robert Mueller, who is investigating Russian interference in the presidential election, and was the result of his cooperation with that probe. Flanked by his lawyers, Cohen admitted making false statements about the project in 2017 to Senate and House intelligence committees, which at the time were investigating possible connections between the Trump campaign and Russia. His comments made clear that his communications with Trump about the project were much more frequent than he had suggested. House Speaker Paul Ryan said that Michael Cohen, who pleaded guilty this morning to lying to Congress, should "prosecuted to the extent of the law." In a Washington Post interview, Ryan also said he believes Special Counsel Robert Mueller's job is not in jeopardy. "I believe he will be left to do his job," Ryan said. "If I were really, really stressed about Bob Mueller, I'd do something. I'm not." Ryan's interview, one of his last as he prepares to leave Congress after 20 years, came as Cohen made a surprise appearance Thursday in a New York federal courtroom. Cohen admitted to making false statements in 2017 to the U.S. Senate Select Committee on Intelligence about a plan to build a Trump Tower in Moscow. Ryan said the the plea showed that Congress was properly conducting oversight by bringing Cohen in to testify under oath under penalty of felony. In August, Cohen pleaded guilty to other federal charges involving his taxi businesses, bank fraud and his campaign work for Mr. Trump. The walls are starting to close in on Trump. CNN chief political analyst Gloria Borger on Thursday said a source close to Michael Cohen told her that Cohen has "the goods" on his former boss, President Trump. "'Michael has the goods,'" Borger said on CNN, reading her source's quote. "'He has extremely valuable information.'" "And so this clearly goes beyond the Trump Tower Moscow ... although that is crucial and important," Borger said on CNN. "But if Michael Cohen is talking, and we know how close he was to Trump at certain points, how loyal he has been to Donald Trump, and we also know the things that were being asked in the grand jury." "I think Michael Cohen, who was the man who said he would take a bullet for the president, has now become Brutus to the president," Borger said. "Because he has this need now to - his people say - tell the truth and come clean and is no longer in the business of protecting Donald Trump, which is what he did for all those years." President Donald Trump’s company planned to give a $50 million penthouse at Trump Tower Moscow to Russian President Vladimir Putin as the company negotiated the luxury real estate development during the 2016 campaign, according to four people, one of them the originator of the plan. The Trump Tower Moscow plan is at the heart of a new plea agreement by Cohen, who led the negotiations to bring a gleaming, 100-story building to the Russian capital. Cohen acknowledged in court that he lied to Congress about the plan in order to protect Trump and his presidential campaign. Special counsel Robert Mueller’s office is considering retrying former Trump campaign chairman Paul Manafort on a slew of federal charges that resulted in a hung jury over the summer. At a hearing in federal court Friday morning, prosecutors said they are also weighing leveling new criminal charges for Manafort, contending that he obstructed justice and committed additional federal crimes since entering a plea agreement with the special counsel in September. “That determination has not been made,” said special counsel attorney Andrew Weissmann.